Set in a landscape of rare beauty, the Lugano Arte e Cultura celebrates its first year. The director Marco Franciolli unveils a packed exhibitions programme and discusses the different natures of the new space in Canton Ticino. 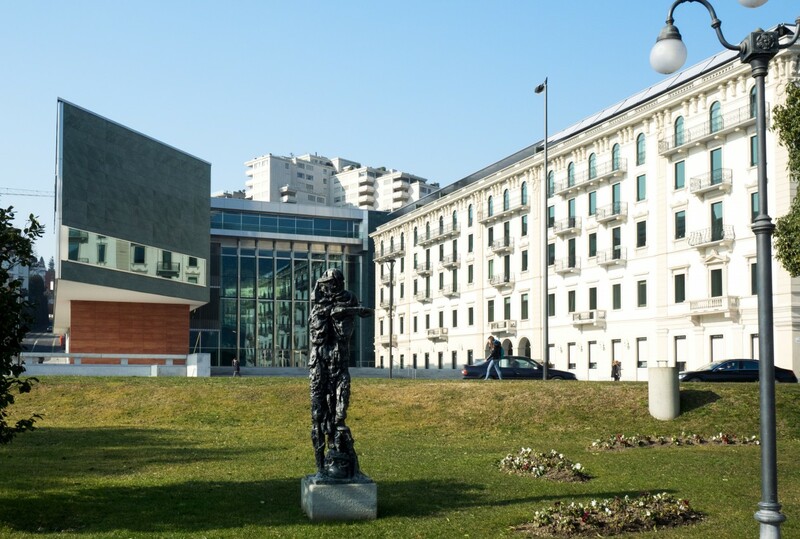 Formed by the amalgamation of the Art Cantonal Museum and the Art Museum of the City of Lugano, the LAC combines the heritage of two museums and opens up to the international scene through a series of offers combining visual arts, music and performing arts. Beyond the Museo dell’Arte Svizzera Italiana (Art Museum of Italian Switzerland)’s permanent collection and Giancarlo and Danna Olgiati Collection, the Swiss cultural centre displays more than 140 works by Paul Signac, Antonio Calderara’s delicate paintings and an exhibition devoted to two great Russian artists Ilya & Emilia Kabakov, as well as an extensive theatre and music programme. We talk about this perfect union of different arts with director Marco Franciolli, which has been called to direct the MASI Lugano, Museo dell’Arte Svizzera Italiana (Art Museum of Italian Switzerland) from the beginning. The museum is hosted by two sites: the LAC and Palazzo Reali, historic site of the Art Cantonal Museum. How does the LAC insert itself in the Lugano social fabric? What was the response from the citizens, institutions and organisations operating in the territory? «From an urban point of view, the LAC meant re-taking ownership of a large and impressive space in the heart of the city. It has been committed to maintaining the original facades of the former Grand Hotel Palace and the ruins of the Chiesa degli Angioli Convent that has been fundamental for the development of architect Ivano Gianola’s plan. This part of the city has come back to life not only because of new public buildings but also thanks to historic parts that regain their functions. The architectural configuration of the LAC testifies to its vocation of an open meeting space for artists and the community. After just one year of activity, we can safely say that LAC is a strong institution, which plays a fundamental role in the fabric of society: the public and critics have responded to the first season in a thoughtful, enthusiastic and engaged way. There has been an increasing involvement of different cultural organisations active in the region, amongst which the residency agreements with Finzi Pasca Company and the Orchestra della Svizzera Italiana that, together with co-productions, consolidate LAC as a centre to promote the arts, a fertile place for artistic creation, and an important platform for Swiss and Ticino artists». What are the LAC’s ambitions on an international level? «We aspire to become an international cultural centre, a place with an appeal that extends beyond regional boundaries, taking advantage of its position at the crossroads between Northern and Southern Europe. As the museum is concerned, we focused on this role of bridging two sides of the Alps since we opened. One of our inaugural exhibitions, Orizzonte Nord-Sud (Horizon North-South) has been exemplary in that sense, as it highlighted the numerous cultural matrices that define the unique positioning of Italian Switzerland on the European cultural geography. This unique artistic identity has allowed the Museum to consolidate its attractiveness on a national and international level. The data on visitors’ origins confirms this: 58% of visitors come from outside the canton. Thanks to an extensive network of contacts with other museums, archives, foundations, universities and collectors developed over the past 20 years, the museum can put together an exhibition programme that can further strengthen its identity and position. For example, the current Paul Signac exhibition was organised in collaboration with Fondation de l’Hermitage in Lausanne, while next spring’s exhibition devoted to Craigie Horsfield is the result of a cooperation with the Central Museum of Utrecht. In the theatre and dance sectors, LuganoInScena’s productions – Gabbiano (2015), Purgatorio (2016), Ifigenia (2016), make a cultural project like the LAC more solid and enable a constructive European cultural dialogue through co-production relationships and cultural exchanges. For classical music, the excellent acoustics of the Sala Teatro has already attracted some great names: Valery Gergiev with the Marinsky Theatre Orchestra, followed by concerts directed by Bernard Haitink with solo artists Murray Perahia and Gautier Caoucon, Rotterdam Philarmonic Orchestra with Yannick Nézet-Séguin and Sol Gabetta and the Royal Philharmonic Orchestra together with its artistic director and main director Charles Dutoit». The LAC is a centre that hosts different disciplines. How do the arts engage in a dialogue? «The current trend in the contemporary art world is fusing arts together; this is the direction that the MoMA in New York is moving towards and the LAC fits perfectly into this current avant-garde. We artistic directors operate now according to the idea that it needs sharing, without cancelling out the specificity of each area. Over the past few years, we worked and collaborated to make the LAC engaging. Some important collaborations stemmed from this, such as the exclusive production for LuganoInScena by choreographer and dancer Virgilio Sieni with live music from the Italian Swiss Orchestra and some thematic offers: on the 8th April, we will celebrate a day in homage to Torquato Tasso promoted by LuganoMusica with LuganoInScena and the Italian Swiss University, while next year we will focus on India. The video installation Slow Dancing that inaugurated the second season also comes from a collaboration. On a weekly basis, we have activities promoted by LAC’s cultural mediation that works transversally to transform the visit into an enriching experience: Un quadro – una musica and the Tra Arte, poesia e musica itinerary are only a few examples. The LAC has the opportunity to fuse art, music and theatre audiences.». How many works and which artists are in your collection? «The Fondazione MASI’s collection includes the Canton Ticino and city of Lugano’s art collections, which amounts to 14.600 exhibits, between paintings, drawings, graphic works, installations and multimedia art. The collections includes mainly 19th and 20th century works by Ticino, Swiss and foreign artists that worked or lived in Italian Switzerland, as well as Italian artists and artists from other countries that had a primary role in contemporary and modern art history such as – just to name a few – Monet, Degas, Renoir, Pissarro, Rousseau, Boccioni, Matisse, Arp, Taueber Arp, Glarner, and amongst the artist from the second half of the 20th Century Orozco, Dijkstra, Struth and Schütte. We also have some significant testimonies documenting some of the leading artists that were active on the territory or in Italy, such as Giovanni Serodine, Giovan Battista Discepoli, Pier Francesco Mola and Giuseppe Antonio Petrini». How do you catalogue your works? «All our works are catalogued in a digital database, complete with images and documents ». Is the collection made up of private bequests or is it the result of a programme of acquisitions? «The collection is the result of an acquisition policy carried out for over a century, as far as the city of Lugano is concerned and from the 1930s for the Canton’s collections, aimed at establishing a core of works with a strong territorial reference, not only in the local sense, but also bearing in mind its dimension as a bordering and exchange area between the North and South of Europe, thus inserting a local artistic reality into a wider national and international artistic landscape. This policy is strengthened by the exhibition activities that the collections take inspiration from to enrich their heritage. Over the years, on top of acquisitions, there have been works left in deposit by other Swiss museums, the Confederation, the Gottfried Keller foundation, as well as several loans, private bequests and donations. 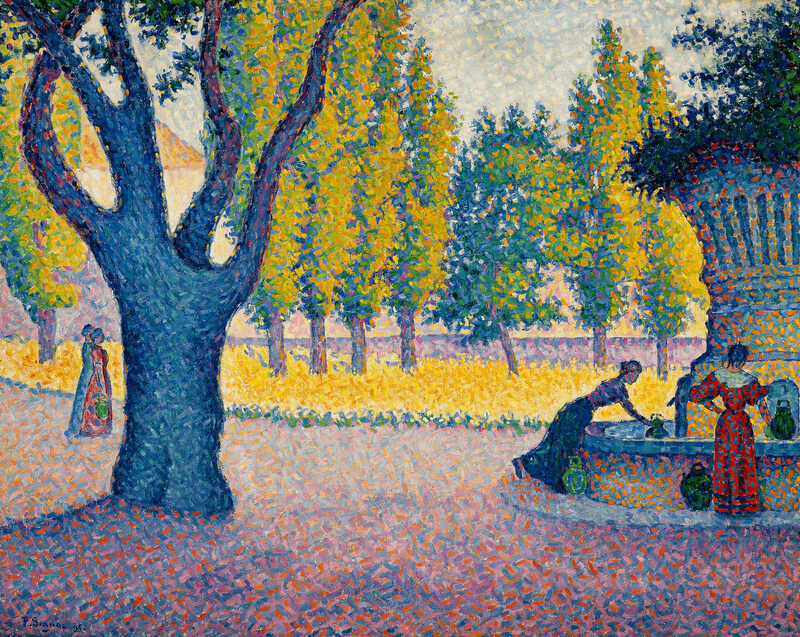 We remember in particular the Chiattone donation to the city of Lugano, which makes up one of the most prestigious prefuturistic works by Umberto Boccioni and Milich Fassbind Donation, with works by French masters from the end of the 19th Century and the beginning of the 20th Century such as Monet Rousseau, Matisse, and important donations to the Canton, such as the Lenggenhager-Tschannen and Panza di Biumo donations, with one of the most prestigious Swiss post-minimal e conceptual art collections».